Bees are not the only insects or animals that are vital to pollination – many creatures play an important role in this process. The information on this page is a brief guide to some of the other animal groups that perform this function. Butterfly-pollinated flowers tend to be pink or lavender coloured, scented and with large petals or leaves for the butterfly to land on. Butterflies and moths are not particularly efficient pollinators as pollen doesn’t stick well to their appendages. There are some notable exceptions to this general rule with the larger moths, such as the Hawk Moths and Humming Bird Moths, being very effective at pollinating certain types of flower. 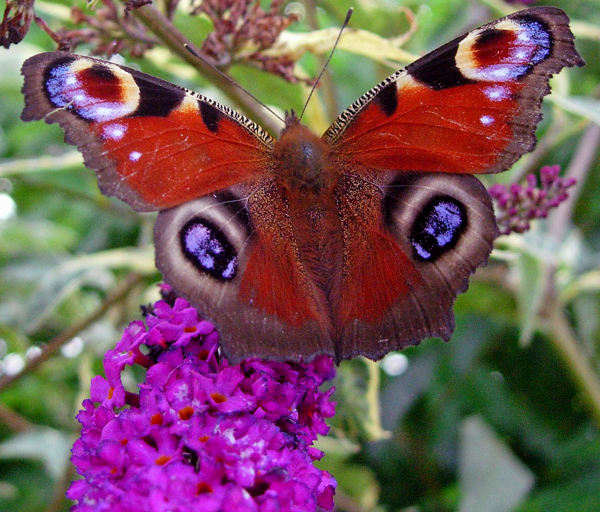 For more information about butterflies and moths please visit Butterfly Conservation. Bat-pollinated flowers tend to be large and showy, white or light coloured, open at night and have strong odours. They are often large and bell-shaped. Bats drink the nectar and these plants typically offer nectar for extended periods of time. Sight, smell, and echo-location are used to initially find the flowers, while bats’ excellent spatial memory is used to visit them repeatedly. In fact, bats can identify nectar-producing flowers using echolocation. In the New World, bat-pollinated flowers often have sulphur-scented compounds but this does not carry to other parts of the world. Bat-pollinated plants have larger pollen than their relatives. For more information about bats please visit the Bat Conservation Trust. Beetle-pollinated flowers are usually large, greenish or off-white in colour and heavily scented. Scents may be spicy, fruity, or similar to decaying organic material. Most beetle-pollinated flowers are flattened or dish shaped, with pollen easily accessible, although they may include traps to keep the beetle longer. 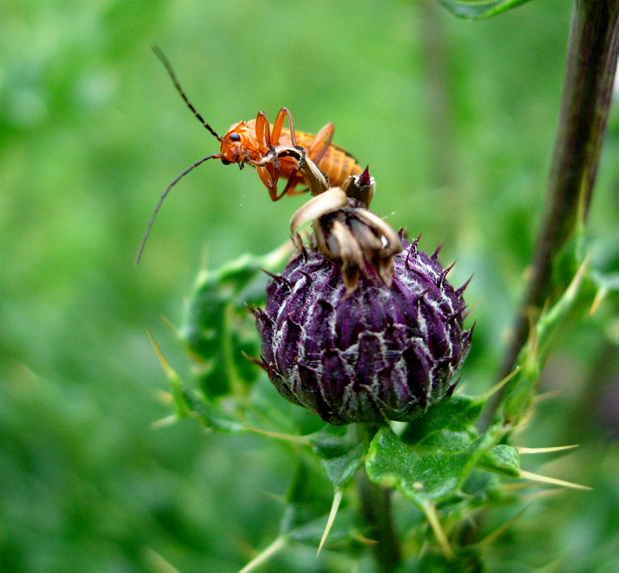 The plant’s ovaries are usually well protected from the biting mouthparts of their pollinators. Beetles may be particularly important in some parts of the world such as semi-arid areas of southern Africa and southern California and the montane grasslands of KwaZulu-Natal in South Africa. For more information about the wonderful world of beetles please visit Buglife. Although hummingbirds are the most familiar nectar-feeding birds for North Americans, there are analogous species in other parts of the world: sunbirds, honeyeaters, flowerpeckers, honeycreepers, bananaquits, flowerpiercers, lories and lorikeets. Hummingbirds are the oldest group, with the greatest degree of specialization on nectar. Flowers attractive to hummingbirds that can hover in front of the flower tend to be large red or orange tubes with a lot of dilute nectar, secreted during the day. Since birds do not have a strong response to scent, the flowers tend to be odourless. Perching birds need a substantial landing platform, so sunbirds, honeyeaters and the like are less associated with tubular flowers. For more information about birds and their conservation please visit the RSPB.